Cecily began playing the bassoon at age ten in her native country of Korea. She quickly become an important woodwind performer in Korea. 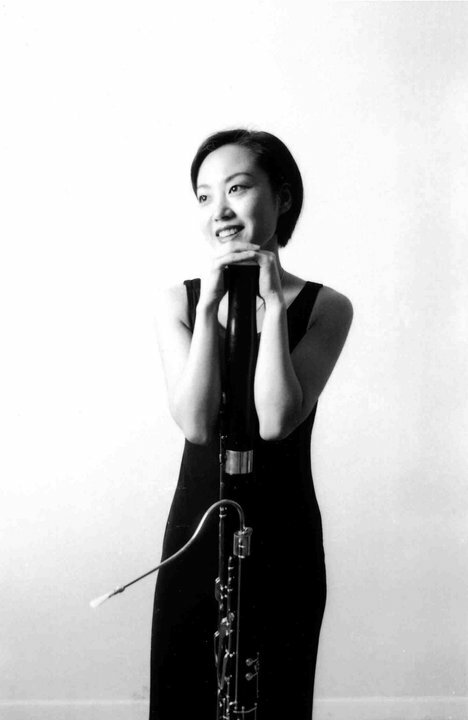 She was the valedictorian of her class at the Seoul National University and received both the Professional Studies and Masters degrees from the Mannes College of Music in the United States. Mrs. Sher has performed in both Carnegie and Merkin Halls, with New York Sinfonietta, and was the chosen winner of a Young Artists Competition in New York in 1999. Anderson Symphony: As a classical musician, what type of music do you enjoy? Anderson Symphony: It’s clear that you’ve grown up playing bassoon, can you tell us more about a defining moment that shaped your career? Anderson Symphony: It’s common that musicians become connected to music through their family. Can you tell us about your own home and the role music plays? We hope you will join the Anderson Symphony Orchestra on February 25th at 7:30 (Paramount Theatre) to hear Cecily and Mozart’s Bassoon Concerto. Tickets are available from $18-$35 and there are student tickets for $5. You can purchase here or call 765.644.2111. Prior to the concert the ASO will host a signature Chocolate and Wine Tasting from 5-7 at the Sandlin Agency. Learn more.